Sam ‘Pa’ Burton uses these words to console his confused half-breed son, Pacer. The suggestion is that we should hope for a world where we can all be accepted for our difference and otherness. The hope defines American liberalism quite well. The flaw in human nature is not eccentricity but intolerance. The British equivalent is ‘Live and let live’. There is a difference in meaning, which is important. Americans emphasise the need of the individual and they leave space for ambition. The British are fatalistic. ‘Things can get bad round here,’ says Dred Pierce when he insists that the Burton family show total loyalty to the cause of the white townsfolk. In this initial encounter Dred is calm and appears to be reasonable yet ‘Things can get bad round here,’ sounds like a UKIP MP talking about what will happen if more immigrants are allowed into Britain. UKIP and Dred understand that nothing justifies the reactionary more than fear of the future. Before the critics of Cahiers Du Cinema discovered that Don Siegel was a great director the Western, Flaming Star, was dismissed as a B Movie reduced by the presence of Elvis Presley as the half-breed Pacer Burton. Since then the movie has occasionally featured in lists of the top 10 Westerns of all time. The movie is not perfect. Either Chief Buffalo Horn is a rampant exhibitionist or someone has a strange idea of authentic Native American speech. ‘I will return when the sun has killed the stars,’ and the like soon become tedious. Oddly, when Buffalo Horn discusses quietly with Pacer the possibility of the half-breed becoming a Kiowa warrior the chief speaks with impressive dignity. Like the dialogue of Buffalo Horn, the acting in the film is uneven. The normally reliable Richard Jaeckel disappoints in the confrontation at the store in the town although his subsequent appearance in Baywatch much later is probably nothing other than coincidence. Surprisingly, Elvis is fine in a role originally intended for Marlon Brando. When Elvis has to explain to his brother Clint why he is returning to fight the Kiowa and face probable death he is not helped by a poor line of dialogue. Brando would have added something and made the line believable. 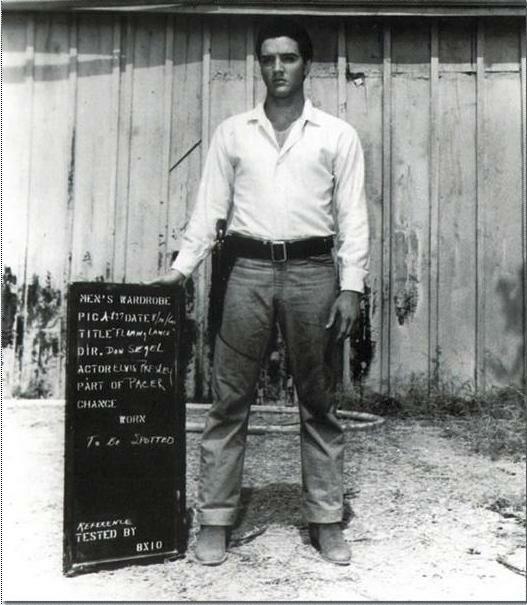 But it is difficult elsewhere in the film to imagine Brando as Pacer, and this is because Elvis soon becomes the troubled half-breed, a man who has strength and potential but is seriously weakened by a faith in violence although ultimately his violence is necessary to prevent war between the whites and the Kiowa. Dolores Del Rio and John McIntyre are also persuasive as two characters that have enough independence and strength to challenge their communities and cross the racial divide. At the beginning of the film Elvis sings a song at the birthday party of his brother. If the inclusion of a song is a commercial compromise, the scene has meaning because we realise that although the whites like the music Pacer plays they do not speak to the musician. He is a useful presence but invisible. During the celebration Pacer only communicates with his mother, and this can be spotted in their brief exclusive smiles. The rest is faked performance for an audience. Elvis had his reasons to make the scene work for him but Del Rio performs like a woman who understands the benefits of intimacy and the burden caused by strangers. Nor should we forget that Siegel is also a fine technician. As he does in the underrated Hound Dog Man (nothing to do with Elvis) he uses widescreen to capture rural space and simple existence. The opening credits feature Pacer and Clint riding home. The journey is undertaken in the ‘golden hour’ and looks marvellous. The moment when the camera zooms in on the riders and we suddenly hear clearly the sound of the horses’ hooves is a fine example of the contribution of the Foley operator. The movie succeeds, though, because it has seriousness in its bones and a liberalism that refuses to compromise a brutal misanthropic examination of the human race or, at least, humans tainted by hierarchy. When Pacer and his brother Clint kidnap the town doctor to attend their injured mother, Pacer takes the daughter of the doctor as a temporary hostage. The ruse succeeds because the young girl is free of prejudice and regards Pacer as an innocent friend. We also have a glimpse of human compassion at the burial of Neddy Burton, the Native American mother of Pacer. Doc may have been recruited as an unwilling participant but he is affected by the death of another human being. Elsewhere, though, in the movie, the analysis is grim. Neddy dies because of a gunshot from a crazed white man injured in an attack by the Kiowa. Once begun violence is exponential, thoughtless and random. Flaming Star even rejects the familiar notion that love offers redemption and helps us transcend death. The death of Neddy Burton is theatrical rather than realistic but it is theatre with real poetry. Neddy heads in to the empty landscape, wandering through wind-strewn sagebrush, to seek the ‘flaming star of death’. Not only does her search evoke the will of fate but it also presents a surprising view of death and grief. Here the end is a personal even selfish impulse that has to be gratified, a final hunger that abandons lovers who, left behind, realise how alone and deluded they have been about their own existence. If individuals are compelled to be remote because of the physical need for death, no wonder they struggle to survive alongside communities that have a different way of life. and Neddy enter the Kiowa camp. A young Kiowa woman turns her back immediately at the sight of Neddy and Pacer. We do not know if she is reacting to a young man she finds attractive or detests the family for being outside the community. 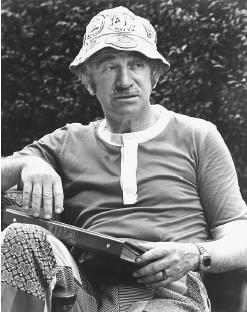 Don Siegel had a career that mixed liberal and conservative statements. Pauline Kael described his most successful film, Dirty Harry, as ‘medieval fascism’. His other great work Invasion Of The Body Snatchers was hailed as an indictment of McCarthyism but it could be interpreted as the complete opposite. Like Elvis, he confuses people, especially Europeans, but he should be regarded, again like Elvis, as a pre-Vietnam American liberal. Rod Serling, who created the incomparable Twilight Zone, is another impressive example. These men were pro-civil rights and opposed to the Vietnam War but they were also alienated by the anti-American radicalism that followed. Serling combined misanthropic distrust with a liberal will inspired by a faith in America and capitalism. In The Twilight Zone his crude caricatures of Kruschev and Castro are now embarrassing but they help us make sense of him and men like Siegel and Presley. They have hope despite their knowledge of human failure. If humans are averse to rational thought and even the best of them too easily seduced by violence, the Burton family, despite their tragedy, remind us of rugged individuals and they offer hope of a virtuous future shaped by American idealism and what makes the nation exceptional. Elvis is required to articulate this ambition at the end of the film. Not easy from the back of a less than interested horse. But, to his credit, the Hillbilly Cat delivers. Since then we have had neo-conservatism and the poor have become poorer and academics have been recruited to justify the poverty amongst minorities. More than ever we are taking men for what they ought to be and not what they are. Reading this excellent and incisive piece I can only reiterate my utter contempt for Tom Parker. Elvis could have further developed into a decent actor had the ‘Colonel’ had just one creative cell in his entire being and recognised the considerable talent of his client. 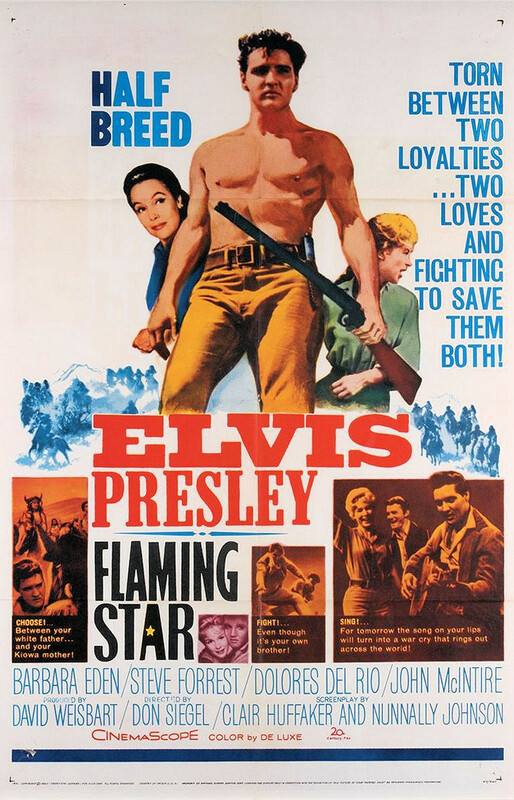 Great post, Flaming Star showed Elvis at his best in acting, but because of the commercial performance of this and his next movie, Col. Parker convinced him to stop straight acting roles and stick to musical comedies.